It was amazing when you got to know someone thru facebook. I have never thought of meeting anyone from fb, but him, he is special.. Max from Singapore, married with a lovely Johorian..
That was one lonely weekend last year end, i was at home and checking fb to let time pass.. Received a msg from him thru Zoosk. Usually i wont simply reply nor i will just ignore, but, that day i started my virgin move. 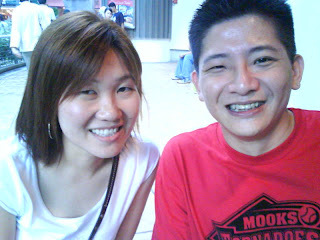 Am glad that we met after a week later when he came KL for meeting. I met KY and Xin Kai too..